AMC’s Borehole Optimisation Solution™ (AMC BOS™) secured casing, improved fluid returns and advanced an abandoned borehole in Arizona, USA. The solution provided significant financial benefit, addressing issues which the drilling contractor had been facing for over 10 years with conventional grouting methods. 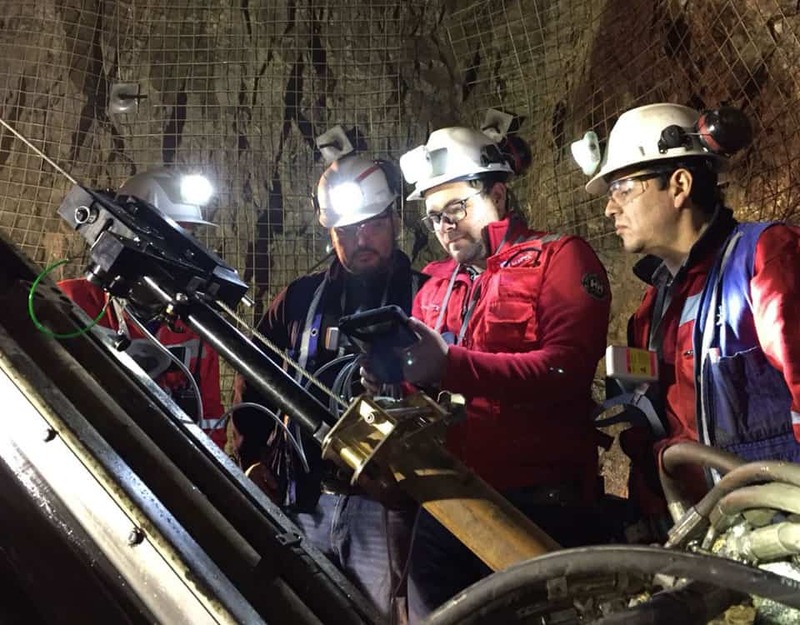 At Resolution Copper’s Superior Mine in Arizona, the drilling contractor had spent two weeks trying to advance a drill hole with traditional grouting methods but due to sloughing and caving around the drilled casing the crew were unable to advance. The team at Resolution Copper had battled these issues throughout a 10 year period at the site. The lack of adequate cement seal around the casing was causing ongoing ground control issues as they tried advancing directly from a cut out of the window wedge down at 2,732ft. The hole was also facing formation pressure due to the fluids on the outside of the drill casing annular space along with only 50% fluid returns, with 50% leaking off behind the casing. As a result of the poor conditions and outcomes of the previous fluid program, the crew had decided to abandon the borehole. Improved overall productivity and site safety. Following a recent successful two week trial at the site, the Drill Supervisor at Resolution Copper contacted AMC about the possibility of using AMC BOS™ on the troublesome hole. AMC’s BOS™ provided a preventative solution to the lost circulation being experienced on-site. The rapid descent, dual action in-hole casing unit delivered a measured amount of AMC BOS FIX™ at regular intervals down the borehole. The AMC BOS UNIT™ deploys AMC BOS FIX™ at precise locations from the bottom of the drill string into the strata and migrates into the annulus to develop a plasticising membrane on the borehole wall. AMC injected the hole using the AMC BOS UNIT™ and conditioned the borehole for 15 minutes before the unit was pulled and the crew started drilling. An initial 1.5’ of cave material was recovered, held together by the AMC BOS FIX™. The biggest challenge facing the drill crew was that there was only 50% fluid returns, with 50% leaking off behind the casing. Following a second injection, fluid leakage around the casing slowed, and the hole continued to advance an additional 20 feet through the caving and sloughing zones. AMC BOS™ was able to stabilise the caving and broken ground, allowing the drill crews to advance the hole a further 93 feet in one shift. The results were visible in the core samples pictured. Formation before deploying AMC BOS™. Using AMC BOS™ consolidated the formation.